One of the main targets in the war on drugs could well become a drug to treat the scars of war. 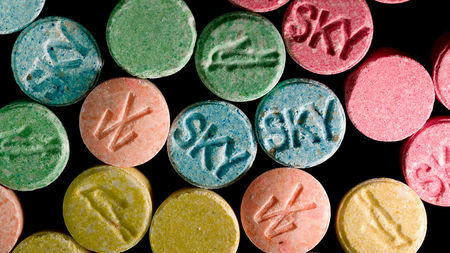 The U.S. Food and Drug Administration (FDA) has designated 3,4-methylenedioxymethamphetamine (MDMA), better known as the illegal drug ecstasy, a „breakthrough therapy“ for posttraumatic stress disorder (PTSD), a status that may lead to faster approval. The agency has also approved the design for two phase III studies of MDMA for PTSD that would be funded by the Multidisciplinary Association for Psychedelic Studies (MAPS), a nonprofit in Santa Cruz, California. MAPS announced the „breakthrough therapy“ designation, made by FDA on 16 August, on its website today; if the group can find the money for the trials, which together could cost an estimated $25 million, they may start next spring and finish by 2021.